The Internet changed how people shop. Mobile changed how shoppers interact with retailers. Now a nimble and sophisticated new mobile associate communication platform mACP is changing how retailers educate, inform and evaluate their most powerful and expensive asset: Their in-store associates. Advances that shaped the new mACP category at last fill the gaping void in how Learning Management Systems (LMS) and Learning and Development (L&D) departments prepare associates for today’s fast- paced, digitally-influenced in-store selling environment. These advances ultimately deliver the last-mile solution to educating, informing, evaluating and empowering customer-facing employees, allowing them to create the personalized retail engagement and experiences that only the physical store can provide. it does tie data to traditional HR platforms). Think Flintstones meet the Jetsons: A sophisticated, highly branded, private broadcast network with instant-on, non-streaming video; a self-publishing interface; granular targeting; real-time metrics; field accessibility; instant, internal global broadcasting from an iPad or desktop; and a simple dashboard interface, all and more from a well- established service training expert and Apple Business Solution Provider. E-commerce sales continue to boom but 85% consumers still prefer shopping in stores1. Only those retailers who invest in effective associate training and evaluation strategies, and in providing up-to-the minute, on-floor communications can keep their employees one step ahead of today’s demanding, tech savvy consumers. Keenly knowledgeable associates help incite the benefits that only in-store shopping can provide: With ongoing and motivating sales and brand training, they create the enjoyable, effective in-store experiences that instill loyalty and lure consumers back to the physical store again and again. Most brick-and-mortar retailers (B&M) recognize this truth and its challenges. But many aren’t spending the resources necessary to empower customer- facing associates to best leverage the physical store’s unique benefits and thus generate stellar consumer experiences. For example, many retailers have yet to move beyond outdated back-room LMS methods and HR-owned associate education, even though the VP of Stores now answers to associate performance, and the multi-function iPad permeating the sales floor can fortify associate impact – a benefit that also broadens tablet ROI. First let’s lookmorecloselyattheenduringvalueofthe physical store. 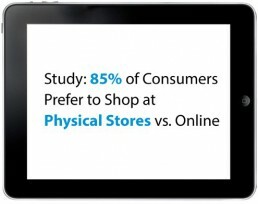 Despite the hype around e-commerce and online shopping, “85% of consumers prefer to shop at physical stores versus online,” according to a May 2015 press release1 announcing results of a study from TimeTrade of Tewksbury, MA. The company surveyed more than 1,000 consumers about their perceptions and habits around retail shopping. Results suggested that shopping trends favor the B&M model, and that customers value the personal experience of the physical store. More specifically, “we found that shoppers have done their shopping or discovery online, then go into the store to get help with their final purchase decision,” the press release stated. The TimeTrade announcement further indicated that once a cross-channel strategy converts an initial inquiry into a high-value, in-store experience, retailers must give customers prompt service with a knowledgeable store associate. In-store expertise drives purchase volume, the study found: 90% of consumers are more likely to buy when helped by a knowledgeable associate. consumers are more likely to buy when helped by a knowledgeable associate. From in-store design studios and personal shopping assistants, “retailers are offering a comprehensive experience, evolving into something sleeker, more customized and increasingly attuned to shoppers’ expectations of what the in-store experience should be,” said Steve Barr, leader of PwC’s U.S. Retail & Consumer Practice, in the report. While online shopping provides 24-hour shopping convenience, consumers still want to see and handle products, interact with a knowledgeable associate to discuss their personal needs, and get the instant gratification of walking away with their purchases. In fact, according to an article posted June 2015 by Retail Touchpoints3, consumers favor in-store shopping “because they like to touch and feel products before they make a purchase decision.” Another 36% of respondents to a survey cited by the article said they don’t like waiting for items to ship, and 30% like to receive advice on what products they should purchase. “Consumers also value face-to-face interactions with store associates,” underscoring that most consumers are more likely to buy when helped by a knowledgeable associate. WD Partners surveyed 1,700 consumers across the demographic spectrum, screening respondents on their desires and behaviors both online and in- store. According to Forbes, the survey found that shoppers still value immediacy, and that the sensory perceptions of a store (touch and feel) also are very appealing. Store employees were ranked as a tremendous in- store asset: Devoted associates on the sales floor create margin whatever the business model. Peterson believes more stores will offer more training among other benefits to improve the sort of personal service currently missing at many retailers. Indeed, today’s all-channel consumers are clicking off and traveling to the store for highly personalized experiences and face-to-face engagement with well- informed associates – an advantage only the store can provide. It’s safe to say that today’s B&M retailers can combat the online threat and surpass their peers by serving the demanding, tech-savvy consumer with a treasury of digitally-enabled associates that continually learn and evolve their brand knowledge and selling skills. HR departments use LMS/L&D primarily to introduce new employees to corporate rules and regulations, and may again communicate defensive, compliance-driven information in another month at best. In addition, their back-room training programs require employees to leave the on-floor work environment, wasting costly payroll dollars. While these HR functions are important, they do nothing to drive KPIs. Where are the ongoing, day-to-day updates and offensive skill-building and brand strategies required in today’s fast-paced world of in- store retail? The void between traditional back-room LMS/ L&D methods and the KPI-driven training and communications tools now required in retail has never been felt so strongly. A March 2015 survey report from Bersin by Deloitte, a part of Deloitte Consulting LLP, titled “Reimaging L&D Capabilities to Drive Continuous Learning” asserted that transformations in work, technology and access to information mean that L&D departments “need to reinvent themselves.” Changes in the way workers learn and how work is done “have rendered many traditional learning methods, and with them many L&D capabilities, outdated and clunky,” the report claimed. • Many L&D departments have failed to keep up with trends and developments. • The majority of L&D work continues to focus on delivering discrete courses, not continuous learning. • Because business is moving at speeds never before seen, organizations need to consistently upgrade their workers’ skills – not yearly or month but continuously. • Continuous learning must be enabled in order to be sure workers have the skills and ability to move the business forward. • L&D departments dedicated to delivering continuous learning will likely find that time, money and human resources may need to be reallocated. • 6 out of 10 executives surveyed described their companies as “weak” at using modern tools such as mobile, and advanced media such as video and simulations. • L&D functions must align with the business in order to help it deliver the business strategy to understand what the needs are and incorporate learning into a culture that addresses those needs. In keeping with the Bersin report’s title (“Reimaging L&D Capabilities to Drive Continuous Learning”), the research found that it’s time for L&D processes, systems, technologies and tools to change. Staggering onto the stage since the Bersin report was released (2013) have been several dynamic best-in- class training solutions. However, their providers insist that retailers need not measure workers individually, because results will be seen in across- the-board metrics. But how can retailers be proactive in assuring each associate is growing if they don’t even know if their expensive training programs impacted each employee successfully, or even was accessed? And though several LMS and L&D initiatives have embraced video learning, it’s still delivered in a costly back-room model. On-demand mobile video learning and other communications delivered to associates on the sales floor, in between customer time, has changed the game in retail associate education and evaluation. Mobile-equipped associates accessing up-to-the minute video-based knowledge can create these remarkable 360-degree in-store experiences that consumers now demand. In support, digital tools such as the iPad, already used in many stores for mPOS, inventory lookup and other applications, can deliver continuous non-streaming, instant-on, app- based video learning and communications – thereby extending iPad ROI. Until recently, however, effective video training could not be delivered into the hands an iPad-equipped associate. With the recent introduction of INCITE, the next- gen version of the QuizScore app, the industry’s new Mobile Associate Communications Platform category has been established. Both the mACP category and INCITE solution mark a major shift in single iPad users’ training and communications. INCITE is vigorously optimized for mobile deployment and clearly demonstrates how video training and communications can be executed accurately, intelligently, successfully, individually, interestingly, instantly, measurably and on the sales floor, across retail and other service industries. INCITE works as a private broadcast network between managers and associates to deliver information and analytics via a dashboard interface. It is delivered on a highly secure, PCI-compliant SaaS-based platform and was developed from retail industry trends and feedback from clients that represent some of the most popular fashion and lifestyle brands worldwide. The next-gen app also includes a Publisher tool, allowing corporate administrators to publish content including videos, PDFs, JPGs and HTML5 files directly to iPads – then monitor results. Imagine filming the VP of Stores discussing new brand features or competition, and providing it to all stores just minutes later, with full tracking. • A dashboard interface that brings to the forefront the most important and urgent information that associates need to know. • A Badge reward system that embodies client brands and motivates associates. • The ability to add new content in minutes and provide access to a highly focused group of users based on title, region, completion rates and more. • A drag-and-drop interface, creating the first private broadcast network for in-store retailers. • Powerful tools for self-publishing video, .PDFs, .JPGs, slideshows, etc. • Single sign-on for direct access to associate data. • Social media link-out, making associates aware of posts and updates. INCITE’s training and communications content is automatically and seamlessly distributed to employees based on geographic location and function. A highly branded – not merely a logo in the corner – experiential interface resonates with associates and allows them to engage in relevant training that reflects the company’s unique culture, while driving business goals. “INCITE is a mobile-first app that takes the brains behind QuizScore and creates a robust solution to empower associates while creating an all- encompassing tool for managers and executives,” said David Harouche, founder, CEO and CTO for Multimedia Plus. INCITE’s patented, app-based, non-streaming training video modules – instant-on, like a light switch, since the content resides in the app, not the network – brings instant training and communications to the hands of every associate. By definition of its patent, the app-based, instant-on video content cannot be obtained from any other retail service industry vendor. INCITE’s real-time metrics are so targeted to the district, store, employee and question levels that some high-profile retailers are using these metrics to change their compensation models. Smooth, high-quality video and large multimedia files are available on iPads even in stores with low bandwidth: This is a key benefit, since even retailers with a higher bandwidth often reserve it for mission- critical activities such as credit card transactions. In addition, upgrading bandwidth, especially in a decentralized company, significantly increases operating costs. As employees equipped with INCITE undertake brief quizzes on the short training modules they’ve completed on the sales floor, in between customer time, hierarchical real-time reporting – down to the specific question – provides field managers with leading indicators to drive performance, impact KPIs, reward successes and identify improvement areas. 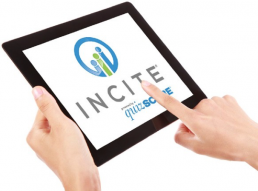 In fact, INCITE’s real-time metrics are so targeted to the district, store, employee and question levels that some high-profile retailers are using them to change their compensation models. In addition, real-time data metrics also can indicate if in-store merchandising strategies are effective; if not, they can be switched out then reevaluated instantaneously. Evaluating and boosting the core competencies crucial to the success of front-line associates; moving retailers forward to continually develop their in- store workforce; and training a mobile workforce at scale are the very proficiencies highlighted by the new mACP category of employee communications. For more information about jumping into mACP and advancing how you educate, inform and evaluate your most expensive and powerful asset – your in- store employees – please contact Multimedia Plus at info@multimediaplus.com.